After one year of toiling away in the labs, we are preparing for the launch of The WP Ultimate Theme (a powerful, flexible and dynamic premium SEO framework for WordPress) designed to work in tandem with SEO Ultimate (our WordPress SEO plugin). Rather than spill the beans now, I will be posting sneak previews of the features as well as preparing some unique use-case examples of how to leverage the power of WP and SEO Ultimate in tandem. If you know us by now, you know that SEO Design Solutions is not about shallow or flimsy SEO tactics or tools; everything we do is cutting-edge and is founded on years of battle tested tactics that dominate search engines and produce real-world results by their very design. 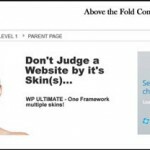 WP Ultimate is no different – there simply isn’t anything like it as a WordPress framework (more on that later) and this is not to knock the competition. Stay tuned for videos, strategies and more from our upcoming product launch (which will change the way you think about SEO Themes for WordPress once and for all). Can’t wait! I have a few sites I’d like to build just to test results. The whole scope creep thing comes into play (always improving, tweaking, etc). But, eventually, you have to get to the point where you say, you know what, this is good enough, launch, and then get feedback and refine after ample feedback from users gets tallied. We do have a firm launch date now, so, can’t wait for the feedback. We think so, can’t wait to get your feedback as well after we launch. 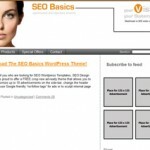 I’m a BIG fan of SEO Ultimate so can’t wait to test out your new theme framework too! As an aside, there’s been something troubling me about the Rich Snippet feature in SEOU for a while and I’m not sure if it’s a bug or not. It would appear to be, but it’s this crazy little thing that only affects some posts and I was never really sure where to post it to, or send it to, so that you could check if it was an error or not. Do you think you could send me a quick email if you can get it from this comment and I’ll send you the details? I know you’re busy and promise not to take up your time, but this has been bugging me for ages and I just don’t get why the Rich Snippet feature is only doing it on random posts. Im excited about this .. but scared to find out how much the developers license will be. I will keep watching for the Jan2nd release. You can use [email protected] to send email about rich snippet editor..
Big fan of your plugin! Can’t wait to test out your new framework theme. You mentioned a release date of Jan 2nd. Is there a link to the framework theme? I came back for it – Where’s it at ? We are adding one more theme to the base framework and adding pliable features to the grid (for custom columns) but will keep you posted with a link to the new site where you can purchase Gino. My apology for the setback, but the new enhancements and the new lead gen skin/theme will be worth the wait. Are you any closer to releasing this theme, than you are earlier. I have seen lot in life and my advise to you is to release it to 1000 betatesters, call them early adopters and let it take its shape and form. I am so sold on the silo structure, I am putting lot of my projects on hold. I use thesis and click bump themes. I would like to do some sites using your theme. I do Amazon and other affliate sites selling physical products as an affiliate. I am probaly old fashioned to leave lot of messages here. I do not even know if you read these. Any way do something. Let not perfection stop you from progressing. Perfection is a dynamic phenomenon and not a static thing. So release your baby to us and let us all participate in her growth. It takes a village to nurture and we promise to be there every step of the way. So have the baby’s birth day be April the 2nd, 2012. eagerly awaiting. Ganti – we are getting ready to do what you suggest. To release a Beta. We also added some killer new features (short code generator, gray box pop over, dynamic custom controls for sidebars, body areas for global settings)… We are weeks away. You WILL be notified! Hi, where I can buy this theme? From http://www.wpultimatetheme.com later this month… Stay tuned for updates on the launch. I’ve been using your SEO plugin for awhile, and just decided to click on the link for your theme, and it’s a dead end. I don’t understand — it looks like this material is over two years old. Like one of the previous posters said, release a beta. You’re missing a huge opportunity. 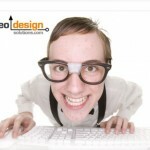 The masses are hungry for a good WP framework that’s SEO optimized. 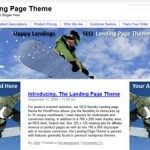 If the theme is anything close to your SEO plugin, it’ll be a huge hit. If money is an issue (hiring programming assistance or support) consider putting your product on the Warrior Forum at a ridiculous price (like $17). I’ll bet you’d be able to sell a bunch. You could ask buyers to post a review on the forum. Then, when the next version of the theme comes out, you charge a real theme price for it ($97) and you have a built-in market from your beta testers. Can’t wait to see when this gets released.